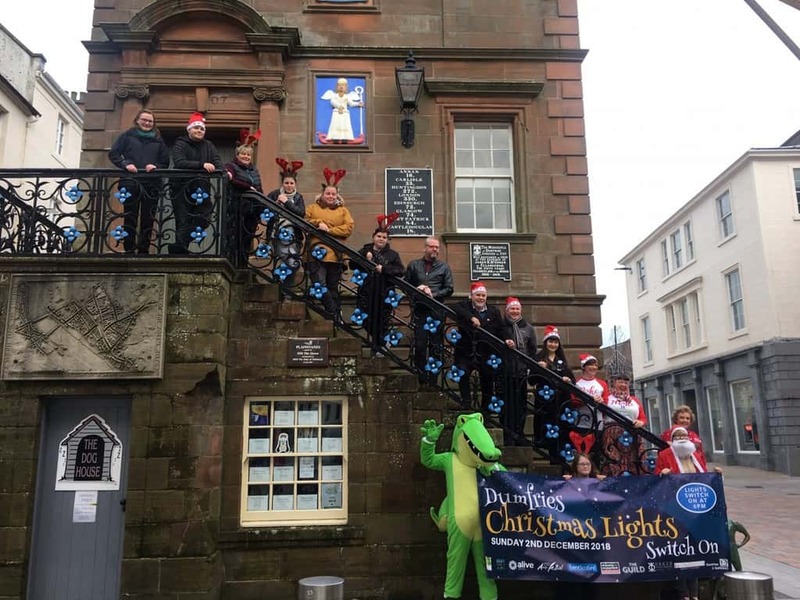 It’s that time of year again: time to put on your Christmas jumpers and Santa hats and head for the Christmas fun and festivities in Dumfries Town Centre, on Sunday 2 December 2018, for this year’s Christmas lights Big Switch. A fun filled day has been planned with activities for all the family, including entertainment on the Plainstanes, the Croc Rock Festival from Moat Brae, a Christmas Market hosted by the Dumfries Makers’ Market, a free Youth Village, Santa’s Grotto, and workshops from Drawing for Enjoyment and Renita Boyle Tell Together Tales. There will be performances on the Plainstanes from emerging local talent, North West Community Campus School Choir, Alive Radio, The Flashes, Santadelicia, and the Croc Rock Carnival. All activities will take place in Dumfries High Street and are free apart from a small charge for accessing the Santa’s Grotto. There will also be an opportunity to purchase gifts at the Christmas Market. The afternoon’s activities will end with the switching on of the Christmas lights at 6pm  and fireworks finale. Dumfries Town Centre is the place to be this festive season. Previous articleDiabetes Service Present Medals to Patients Living with the Condition.